Born in Augusta, on the Ionian coast of Sicily, I have grown up smiling through the orange groves of Lentini and have seen Mount Etna and Her eruptions from my window since I was just a little girl. A history and archaeology enthusiast, I am deeply fascinated by the myths and the legends or our Volcano. I discovered the world of wine on a wonderful summer night at Taormina, in August, by chance and for love. I started to take care of the family vines and to participate in the vinification processes. After graduating in Economics, I completely devoted myself to my passion – I became a sommelier and fully concentrated on the wonderful world of wine, working full-time at SantaMariaLaNave, of which today I am the sole administrator and the main owner. I am married to Riccardo and live for and dedicate every day of my life to my indigenous vine varieties and my wines, taking care of them and sharing their beauty with the world. Every day I learn something from my vines. They follow the ancestral laws of nature, away from the noise of the urban world, whether in the intense heat of the Sicilian summer or covered by the snow of the Etnean winter. Many of them are taller than me – they are ancient, fierce, and have been there for centuries. My duty is to protect and safeguard this invaluable heritage, in order to pass it on to the future generations. It’s a joy and a great honour, but also a great responsibility. The love between our family and the vines is very old and goes back to 1954, when Giuseppe Mulone, called Peppino, a gentleman farmer from Regalbuto, in the province of Enna, moved with his family to Catania, looking for better and steadier living conditions. He found his first work on Mount Etna, where Nonno Peppino took part in the harvests at Zafferana. He was simply fascinated by the fertility of the volcanic soil, by the lushness of the vine varieties and by the magnificence of the grapes. 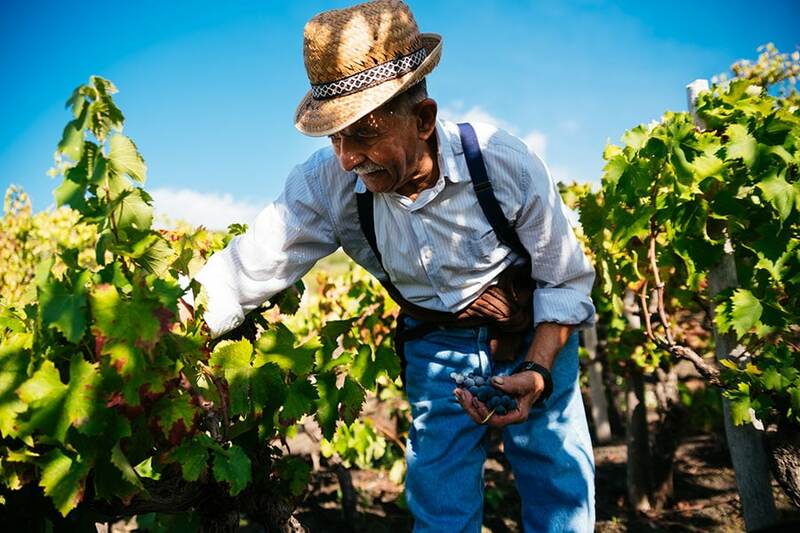 His relationship with local vines and with Mount Etna went on for several years, until 1980, when his only son left in Sicily, “spared” from the migratory flows that emptied our island of many tireless workers, bought a property on Mount Etna, in the municipality of Viagrande. In that property there was a small and ancient vineyard of Nerello Mascalese and Nerello Cappuccio. 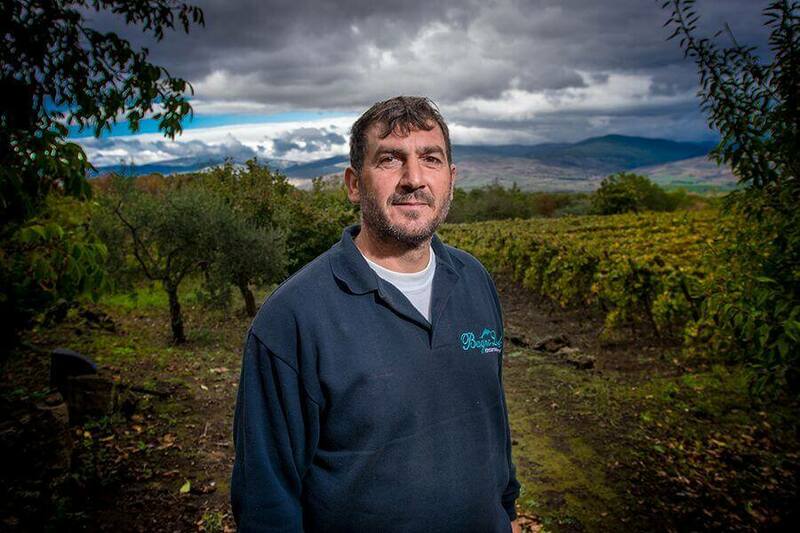 Peppino Mulone helped cultivating that vineyard with love and passion, taking part in the first harvests and in the fascinating vinification process, performed with artisanal methods. That same passion and respect were passed on to the present generations, not only through his genes, but also thanks to his example. Nowadays the vinification process is surely more modern and safer, but the care we have towards and the techniques we use to tend to our wines are just the same. The harvest is handmade, as it was in the past, and we carry it out with utmost gentleness, preserving every bunch, with the same humility and tranquillity of our ancestors. Today, after many years, SantaMariaLaNave is still animated by the same values we inherited thanks to the good example of Nonno Peppino, the same values of respect, passion and love that one day we will pass on to those who will be here after us. At SantaMariaLaNave, we consider the vinification a non-invasive process, which should completely respect the nature of the vine variety and the properties of the vintage. This philosophy is perfectly carried out through the work of the enologist Enzo Calì. Enzo, born in 1975, has already done approximately 20 harvests as an enologist and wine technician. His parents were farmers and he has been deeply immersed in the Etnean agriculture since he was born. He has been fascinated by harvests and vinification since he was a little kid and soon he completely devoted himself to this deep passion, which prompted him to choose a related course of studies and then to become a full time enologist, dedicating his whole life to the study of Etnean wines. Furthermore, Enzo has been working on the selection of local yeasts for a decade. We owe to his work some of the most award winning wines in the Etnean area, but despite this he keeps using the very same ingredients that represent the foundation of the success of his products: hard work, passion and a great respect for the grapes and their history. Enzo always says: “I try to instil my experience and my passion in the wines I work on. I think they are successful only when their colour, their fragrance and their taste are the mirror of their vine varieties, of their territory and of their vintage. I don’t change nature; I don’t enslave it to cosmetic processes. I respect it and I want this to emerge through my wines”. We are truly honoured to have Enzo taking care of our wines. Vines, like every other living being, need their natural environment to be respected in order to express their vitality in full. That’s why knowing the specific characteristics of a territory, of its microclimate and of the local plants is critical to grow healthy and abundant bunches. The care of our vineyard is entrusted to the experience of Vincenzo Avellina, who we have known for more than twenty years. He was born and still lives in the near Maletto, very close to our plants, and is local just as much as our Grecanico Dorato. Vincenzo has always been close to Contrada Nave and Grecanico Dorato, he knows its biologic cycles and its reaction to the various weather phenomenon and pruning. He is the son of Salvatore Avellina, called il Mazzola, who was famous in Maletto for his dancing skills. Vincenzo took part in the first harvests when he was just a little kid, since his father owned a small patch of land in the highest area of the Contrada. Up there about 700 plants were growing, mostly of Grecanico Dorato, which in certain area of Mount Etna is still called “Coda di Volpe”, fox tail, for its elongated shape and its pinkish colour. At that time, on the day of a harvest, the people from Maletto left their village riding on mules or horses, bringing all the necessary equipment and their family with them. The harvest was handmade, just as today, and the bunches were put into wicker baskets called “panari” and then relocated in bigger wicker chests called “cufini”. Vincenzo still brings his cufini to our harvest. We measured them and discovered that a cufino can hold the content of approximately six of today’s crates, more than a hundred kilograms of grapes. Around 50 years ago, the Mazzola left Maletto on his mule, burdened with panari, which during the outward journey were filled with the day supplies, and with two cufini, one on each side, which held two children each. Mazzola’s wife, like all the other ladies that, at that time, used to help their husbands during the harvests, took turns with him on the mule, in order not to weigh it down too much. When she followed him on foot, she alleviated the hardship of the road letting the mule pull her onwards while tying her hand to its tail (and maybe that’s the origin of the Italian word “accodarsi”, which means “to queue up”). When he was a little boy, Vincenzo shared the journey in a cufino with his brother. At their return, they brought the bunches to a small millstone nearby and started pressing it with a hammer press, which could be used only by four people together. That was a day full of hard work, but also a true feast! It’s wonderful to see how, in the farmers’ community, the harvests are still remembered clearly even after decades, almost as if they were still bringing back the same joy of the past. The same is true for our harvests: they are full of hard work and struggles, but also of the great joy that can be experienced only by getting in touch with our vineyards and their fruits. Many decades have passed since the first harvests in Contrada Nave and, during these years, Vincenzo has worked at some of the best wineries of the entire Sicily, but his deep love for the Contrada is always the same. Even if our technical knowledge is now deeper, Vincenzo, with the help of his wife, Maria, and his sons, Salvatore and Antonino, cultivate the vineyard of SantaMariaLaNave following the same rules and traditions that, more than half a century ago, the Mazzola used to get the best of its plants of “Coda di volpe”. As Vincenzo says: “What I do in a vineyard is what my father and my grandfather did. That’s why the grapes taste the same as they did in the past”. It’s also thanks to Vincenzo that the harvest, for us, is still such a festive day! During her studies in Scotland, Aurora discovered the wonderful world of agricultural biochemistry and genetic and, becoming very interested in biodiversity and agronomic techniques, in 2000 she graduated in agricultural sciences. In the following years she approached the viticultural field, supporting and assisting many companies in the industry on a technical level. She was nominated national deputy technical director of an Agricultural Assistance Centre, for which she handles the contacts with the public administration and in particular with Mipaaf, Ismea and the Agency for Agricultural Supplies. She supports the various offices over the whole national territory and has been a speaker at many conventions on the Common Agricultural Policy. She has a strong bond with her roots, however, so she chose to go back to her native Sicily to offer consultancy and support to the Etnean winemaking companies, capitalizing on her experience and trying, at the same time, to deepen her own knowledge of viticulture and enology thanks to her collaboration with many enologists and technicians of the industry. Soon she was charmed by the Etnean local vine varieties, fascinated by their resilience and fierceness. “Then I met Sonia, with whom I established an extraordinary relationship right from the start, based on collaboration and mutual esteem. She immediately charmed me with her great enthusiasm and her passion and dedication to the heroic viticulture, characteristics that clearly emerge in her wines. They resemble her in personality, intensity and brightness”. From that encounter onwards, Aurora has been dedicating her energy and her positive strength to us and supports us in all the complex activities related to the heroic viticulture of SantaMariaLaNave, and mostly in the delicate restoration of our ancient vineyard on Mount Ilice. Aurora is a wonderful person to share our dreams with. Don Alfio has told us that, when he was thirty years old, he wanted to buy a small vineyard. He went looking for it “all around Mount Etna”, but when he arrived at Mount Ilice he stopped, he dug up the soil with his pickaxe and saw that it was “perfect” he had found “a golden soil”. 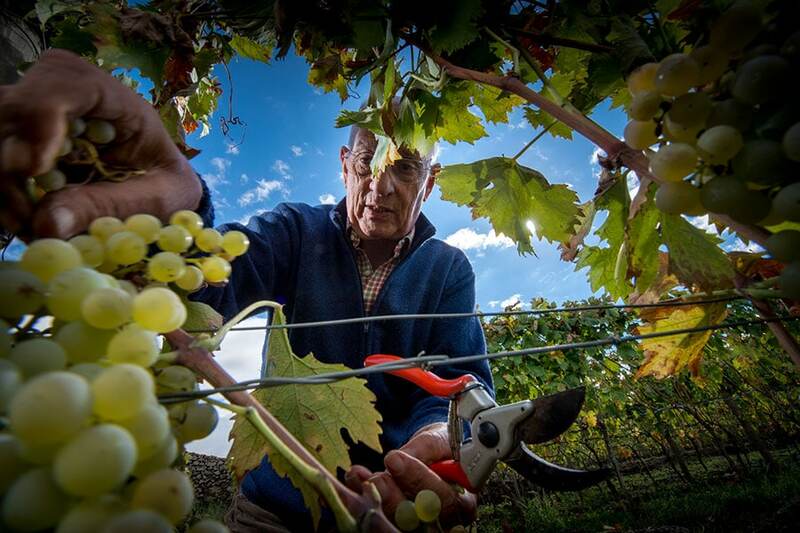 From that moment onwards, Don Alfio was practically married to that ancient vineyard, which he has been cultivating with love for more than half a century. Don Alfio is a wonderful man, always smiling and cheerful: a good man. He is small, but he can climb the steep slope of Mount Ilice fast as a kid. He knows every tree, every vine. He found many of them here, “They were already ancient when I arrived”, but many others he has planted himself. He simply loves those plants. He trimmed them only when the moon was waning, “so they would not cry”. He followed the teachings of the old farmers he had met when he was young and now it’s his turn to explain and pass his knowledge on to the new generations, which he does with love and passion. We promise him to tend to those vines with the same love he has given them for more than half a century.